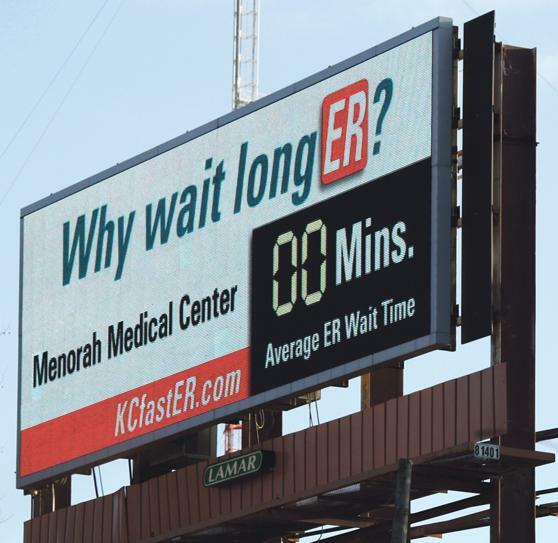 kc bob: Do hospitals want us to use their ER as a clinic? Saw this billboard yesterday. It reminded me about how many people use emergency rooms for doctor offices. I think that billboards like this one serve to only reinforce that idea. You have to wonder about all of the hospitals that moan about that phenomenon then slap up billboards telling folks that their clinics have no lines and no waiting. I think that this aspect of health care problems probably are more complicated than we think. Do you think hospitals want us to use their ERs as clinics? Saw this billboard yesterday. It reminded me about how many people use emergency rooms for doctor offices. I think that billboards like this one serve to only reinforce that idea. I know people who do this on a regular basis. I'm not sure if hospitals want us to do this or not, I guess that all depends on whether or not they are making money. I don't think so, but sometimes you just don't have a choice. Perhaps the sign is more about competition with other hospitals, and they are willing to deal with the ER/clinic issue in order to draw paying customers. Even so, it WOULD seem to belie their complaints about it. I have never been in a ER room without a line... However, when Don was having a heart attack (13 years ago) we moved immediately to the front of the line.... I do not recommend this for getting to the front of the line. It would be interesting to see a study on how much of the money billed by ERs goes unpaid. In other words, people who do pay their bills pay it in higher cost for the hospital care they receive to make up for losses in the ER. But I agree with Wanda--That is all some people have.